These 3D stadium replicas pay tribute to some of the most famous (and beloved) professional and college sports stadiums in the USA—and they’re made here, too. Precision-cut pieces of wood are layered to create an aerial, three-dimensional effect. 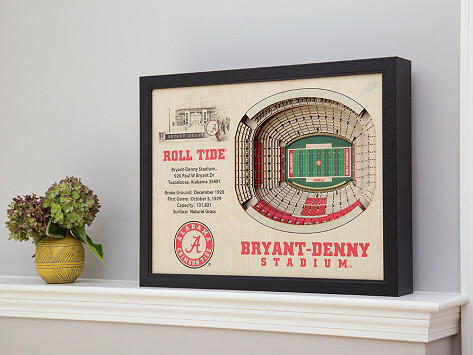 Hand-drawn details (like field lines and facts about the stadium) finish off these framed and ready-to-hang designs that are sure to be a fan favorite. Dimensions: 25.5" x 19.5" x 3.5"
One great gift that is lasting! 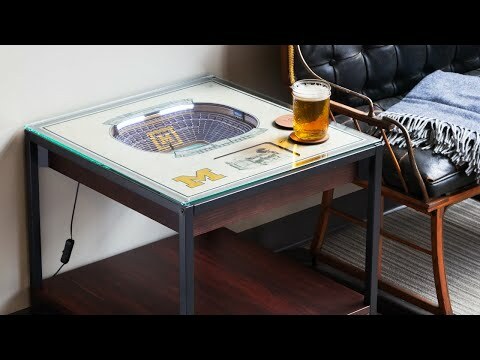 Perfect gift for a football fan. A work of lasting art! Choose any seat in the house. Received this for my son-in-law who is a fan of the Cubs. It was a big hit and is now hanging in their bar .